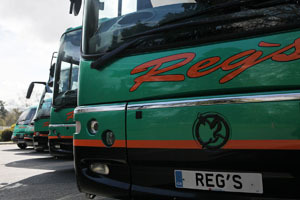 Reg’s Coaches is a long established and well known Coach company based in Codicote just outside Welwyn, Hertfordshire. The company changed ownership in the Summer of 2016 and is now under new management. The new owners, who have many years experience within the coach industry, have already introduced a series of new and improved services, including upgrades to its current fleet, an enhanced and modern booking and communication system and uniformed drivers. 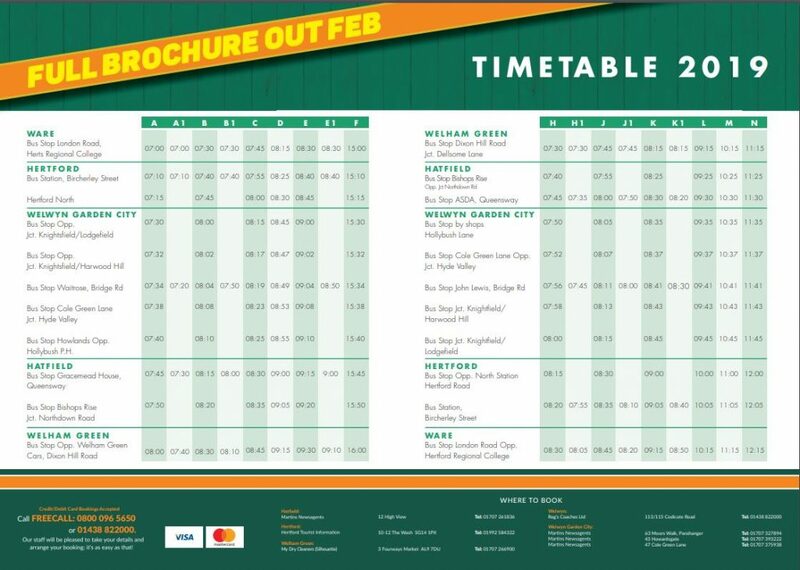 Customers who enjoy day trips and short breaks will see a newly improved and enhanced schedule for 2019, and our brochure will be available from January each year. We look forward to seeing you in 2019 and onwards. Thinking of group travel? Think Regs Coaches. 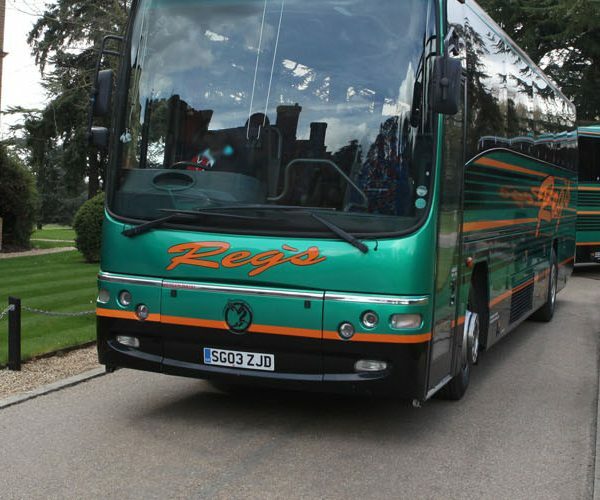 Coach hire throughout the UK for any club, association, corporate or private group. Routes, timetables as well as payment & booking facility, now available online. We work for a large number of Schools within Hertfordshire & Bedfordshire and offer excellent rates for trips during the School day. Regs Coaches Trips Leaflet 2019. You will soon be able to book your Excursion seats from your armchair. In the meantime, have your Credit Card ready and FREECALL 0800 0965650 or 01438 822000. Our staff will be pleased to take your details and arrange your booking; it’s as easy as that! Just a note to thank you for the coach supplied today. I have had excellent feedback from the class, regarding the condition of the coach and the friendliness of the coach driver. Many thanks and we look forward to booking with you again. I would just like to pass on my thanks for the phone call I have just received informing me that my daughter had left her pass on the school bus to Presdales this morning. Excellent customer service and it will no doubt ease her panic when I tell her! Hopefully this will be the last time!! Thank you for granting my request to have John drive us to chatham, he's the best. Happy and friendly good driving to, i'm sure we all felt safe no stops for the loo!! No more trips for us sad to say this year, oh by the way next year i'm hoping they'll start before may. But next year i'm sure will be full of joy if all of our trips driver John is the boy. I just wanted to write and say thank you for this booking and for a wonderful driver- Andy. A great asset to your team, I will certainly be booking Reg’s coaches again. Our year 1 staff and children wish to thank the driver on that trip. They were extremely grateful to him - he was very thoughtful and kind. One of our children needs a wheelchair and he was particularly attentive to this need.